Situated in Carrington Falls NSW and only 5 minutes from Robertson in the prime horse country of the Southern Highlands region, Carrington Park Stud is bedded in fertile soils and highly productive, high protein pastures. Shielded by established windbreaks in all paddocks, the layout allows for both a mild winter harbour and shelter and shade in summer. Adding to the inbuilt natural assets of the property is the Kangaroo River, which runs through the boundary and offers constant access to water and natural irrigation year round, as a a backdrop to an annual rainfall of 40-50 inches. Breeders are also eagerly awaiting the debuts of the first 2YO's by resident stallion Sheer Talent, set to compete in the upcoming 2018-2019 season. 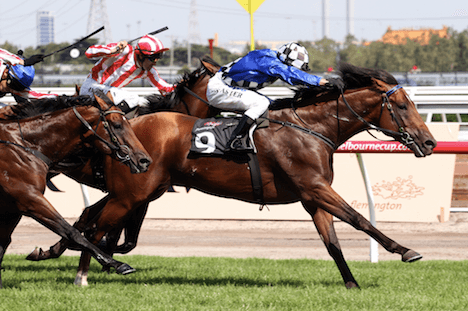 A son of multiple Champion Stallion Redoute's Choice, Sheer Talent is regally bred on the dam-side too being from a Barathea half-sister to Gr1 winners Bonanza, Fraternity and Telesto. Carrington Park also stands NewYork-bred London Bridge, a son of Arch and a half-sister to 4-time US Gr1 winner Magical Fantasy.